Turn something ordinary into something extraordinary! 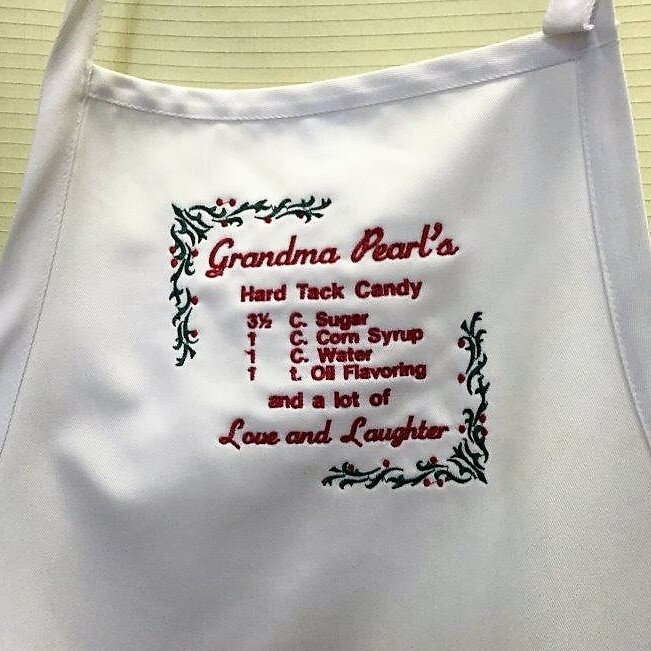 Here at Mary's “YNH” you can get “your name”, company logo, or custom artwork stitched on just about anything! Our commercial 15 needle, computer driven machine can handle a large variety of garments from a delicate hankie, a thick rubber boot, to anything in between. We welcome single item and large quantity orders! Make your gift giving something special by adding a personal touch! We carry a full line of shirts of all styles, hats, tote bags, coolers, wine bags, blankets, diaper covers, onesies, scarfs, afghans, robes, jackets, chef coats and aprons, and adding lots more items every day. We can also add embroidery to your own items purchased elsewhere! Stirling resident Mary Mayer started “Your Name Here” as a home business and within 6 months purchased a commercial embroidery machine and moved the business to Valley Road in Gillette. Custom Vinyl and Heat Transfers Available. Perfect for Sports Teams and Company Logos!